We’re still searching for a few volunteers. Specifically, we could use some help with general setup, beginner clinics, snack table oversight, and control pick-up. Please get in touch if you’re available to help. No experience necessary. 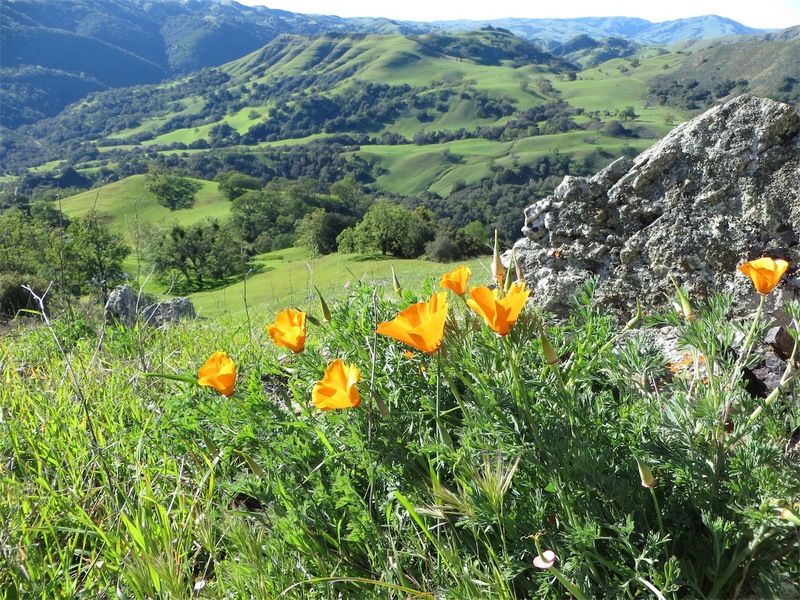 We return to Sunol Regional Wilderness (http://www.ebparks.org/parks/sunol) for our annual event. (In the past, we visited this park in the spring, but the rangers now require us to schedule the event in the fall or winter.) Seven courses are on the menu, with our usual beginner and intermediate courses as well as a full set of advanced courses to choose from. We have an excellent course setter, so come and join in on the fun! Note that the Start is 2.5 km from the assembly/parking area, with about 100 m of climb. (Sorry, nothing is flat at Sunol!) Be sure to plan on about 30 minutes to get there. Dry grasses with burrs and stickers are present on all the courses except White. We recommend long pants and gaiters. Picnic tables and vault toilets are available. There is no longer piped drinking water available at this park. BAOC will provide drinking water at the assembly area and at water stops on the intermediate and advanced courses. There will not be any water stops on the White and Yellow courses. If you plan to carry water bottles or a Camelback-style water bladder on your course, please fill them at home. Sunol is beautiful, wild, and steep. I may be tainted by old age, but it is very well possible that this is the steepest terrain I ever entered with an O-map in my hands​—​and I grew up doing Orienteering in the Swiss alps. So, be prepared: If it looks steep on the map: it is actually even steeper. The fact that the map is drawn with non-standard 7.5 m contour intervals gives testament to how unusually steep this wilderness is. The steepness of the terrain combined with the often dry-grass vegetation makes it often slippery and tricky to negotiate. I strongly recommend O-shoes with cleats or dob spikes for the advanced courses (Brown, Green, Red, Blue). Alternatively, bring rappel gear and a harness (don't do that​—​I'm just kidding). Having said all this: I tried hard to set courses around the steepest parts. The second constraint, besides the treacherous cliffs, is given by the strict requirement of the park management to not cross any fences. Not crossing means no going over, under, or through fences. Gates are okay; broken fences are okay, too. Again I tried hard to set the courses such that good route choices don't require crossing fences. So, if you find yourself tempted to cross a non-broken fence, you are either lost or chose a really slow route (or both). But please do not cross any fences, or you will unleash the wrath of the rangers upon BAOC (i.e., jeopardize our future use of the park). Besides the steepness, the area is quite open and runable. There are cows (mostly friendly) and some poison oak. The latter has lost most of the leaves, so it is sometimes hard to spot. Many ravines are lined by poison oak hedges at the very bottom. These are not always mapped. The quality of the map varies. I tried to update it around the courses. But there are many unmapped cow trails, which I didn't add, since they tend to come and go. The contours are generally accurate, and since there are so many of them, you can't get completely lost. Beginners should be aware that the distances shown are the cumulative straight-line distances between controls. Your actual distance will be somewhat longer. For a rough estimate of how far you will actually go, mentally change "km" to "mi" (e.g., for a "1.9 km" course, you might travel up to "1.9 mi"). The climb numbers represent the amount of ascending that would be done on the "optimum route" (in the Course Setter's opinion), without regard for any descending. The Start is 2.5 km from the assembly/parking area, with about 100 m of climb. Plan on 30 minutes or more to get there. The Finish is just across the bridge that is near the Visitor Center. Part of good planning is to practice. The Sunol event will be the first time that our controls will be turned on for this functionality. For those of you using normal sticks, there's no difference. For those of you with Air+ sticks, the Start, field, and Finish controls should all engage your stick up to a range of 20 inches away. If it doesn't work (for instance, if you are the first one to use a control), then just punch the old fashioned way (i.e., put the stick in the control). Poison Oak: Participants on all but the White course will encounter some poison oak which you will want to avoid. I looks like this. Washing clothes and shoes and bathing exposed areas with dishwashing soap or a commercial product such as Tecnu to help remove the irritant oil is recommended. Poison oak is dry this time of year, leaves turn orange or red, are beginning to fall off, and it can be hard to identify. The irritating oils are present in the stems as well as the leaves. Ticks: Deer ticks are found in this area and may carry Lyme disease. Rattlesnakes: Rattlesnakes are present in this park. They are not aggressive, but if threatened or cornered, they may strike. Give them distance and respect. Steep Terrain: The terrain at Sunol is very steep. The contour interval is 7.5 meters rather than the usual 5-meter interval. Closely spaced 7.5 m contours may indicate a slope that is not safely crossable. During the dry season, fallen leaves and loose soils result in slippery slopes. No Smoking: There is no smoking allowed in Sunol Regional Park. Dogs: If you plan to bring a dog to the park, please review and abide by leash rules posted near the registration area and on line (http://www.ebparks.org/activities/dogs). Equestrians: Horses always have the right of way. If you encounter equestrians while running on a multi-use trail or road, please wait or walk until you are clear of the horses​—​ask the riders what they want you to do. A startled horse could throw and injure the rider. Also be careful not to jump onto a trail when horses are nearby. Cattle: The advanced courses will cross a cattle grazing area. Cows are generally docile and easily avoided, but do not get between a mother cow and a calf. Fences: There are several fences in the area used for the advanced courses. One of the conditions of use of Sunol Park for orienteering events is that we DO NOT CROSS FENCES. The course setter has mapped several areas where there are gaps in the fence. Do NOT attempt to climb over a fence, or roll under one, or squeeze between strands. Any such violation will result in disqualification of the participant (and, more importantly, could jeopardize our ability to use the park). As always, we will need the help of several people to put on this event. You can avoid the rush by contacting the event director well in advance. For GPS navigation, the approximate coordinates are 37.5121,-121.8288. The entry kiosk will be manned by a ranger to collect (cash only) use fees of $5 per car and $2 per dog. Please try to bring exact change.